There’s no way to predict whether you’ll be involved in an accident when you’re on the road. Life happens in a moment, and you wouldn’t get into your car if you knew in advance you were going to be involved in an accident. Despite not knowing, however, there are steps you can take to prepare yourself for a car accident long before it happens. There is a saying about how it’s better to be safe than it is to be sorry, and that applies to prepping for the potential for anything to happen while you’re on the road. 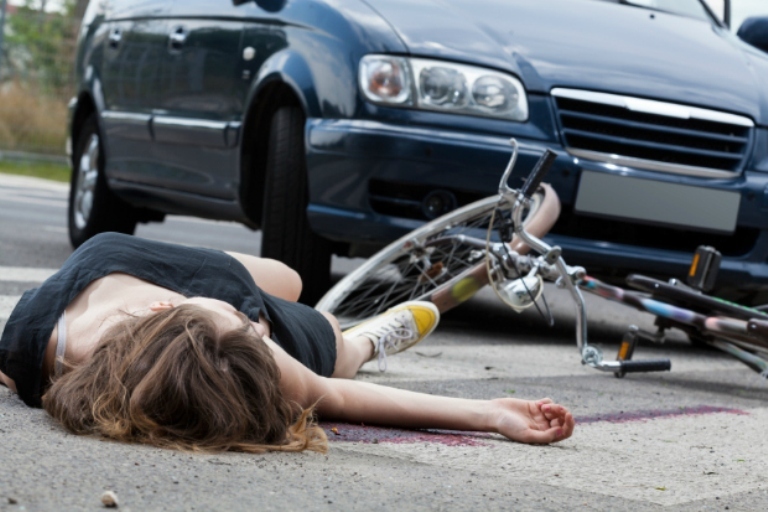 If you are rendered unconscious in an accident, you want to have your emergency contact numbers in your phone. Try labeling your spouse by the title “HUSBAND” or “WIFE”, so medics and others know who to contact if need be. You never know when an accident might occur, but you know what you need when you are involved in an accident. There’s little doubt you’ll be shaken up following the accident, so having everything in a place you can access easily and without a second thought is helpful. You’ll need your insurance card, your license, and your personal information. A good rule of thumb is to keep your car insurance information in your wallet with your license. When you pull your license out to hand to the police officers on scene, your insurance card is right there. Another piece of information you’ll need is your health insurance card. You should always have yourself checked out no matter how minor the accident. This is for your safety. Any accident can result in an injury that might not appear right away. Let a doctor take a look at you. Keep your insurance card in your wallet. If you are someone with a medical card describing your allergies or specific health issues, keep that with your license, too. Doctors need this information to be sure you’re not allergic to anything and/or you don’t have any specific medical problems to consider if you’re unresponsive. Most people have a cell phone with a camera but if you don’t, now is a good time to have a camera in the car at all times. You need this to take photos of the accident and the damage to your car. You might not think to do this, but you never know when you might need this information. Your insurance company might ask for it. The at-fault driver’s insurance company might deny the claims, and you might need to present further proof of your innocence in the form of photos. Use your camera to take photos of your car and the other car in full. Get as many detailed photos as you possibly can. Take photos of in your injuries. Don’t leave anything out. It’s better to have too many photos than not enough if it comes down to it. One thing about accidents is they don’t always happen in the middle of a busy intersection where traffic is present at all times, and help is always on the way. Sometimes it happens in the middle of nowhere, and there are no witnesses, and help isn’t readily available. If you’re in an accident by yourself in the middle of nowhere, anything can happen. Your phone might be dead and you can’t make a call. It might be nighttime and you’re too afraid to leave the car to find help. You might have to wait for someone else to drive by or daylight to help you find a public location. READ ALSO: Foreign Transactions Fees? If it’s winter, add blankets, gloves, warm jackets, and anything else you might need to keep yourself warm as temperatures drop. If it’s summer, you might still want a blanket for comfort purposes. An emergency kit is a great way to prepare for any type of accident that might occur at some point. Having insurance is necessary if you have a loan on your car, as many people do. If you don’t owe anything, however, you might make some fairly common mistakes. If you decide to forgo insurance so you can save a little money each month, you’re not covered in an accident. If you drop items from your policy to save money, you’re not doing yourself any favors. Review your policy every six months to insure you’re getting what you pay for, and you’re paying for what you need. Always know what your insurance covers, and always prepare to need more than you have. For example, does your policy cover the cost of a rental car if you’re involved in an accident? If not, it’s time to add that to the policy so you don’t find yourself in a financial bind unable to rent a car. Being involved in an accident is always stressful. There are so many details, so many questions, and so much fear involved in the unknown. Being prepared for an accident before it happens won’t make it any less stressful or scary for you to deal with, but it will make it easier for you to handle the things that are necessary once the accident occurs. Protect yourself by protecting the future. Know that anything can happen, and be ready for that to occur.